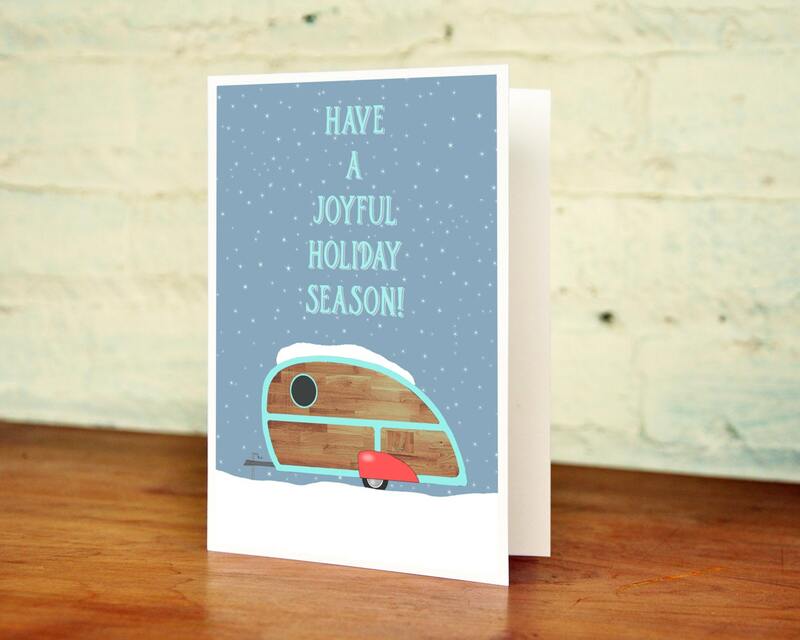 Our adorable vintage camper design has been reimagined for the Christmas season. 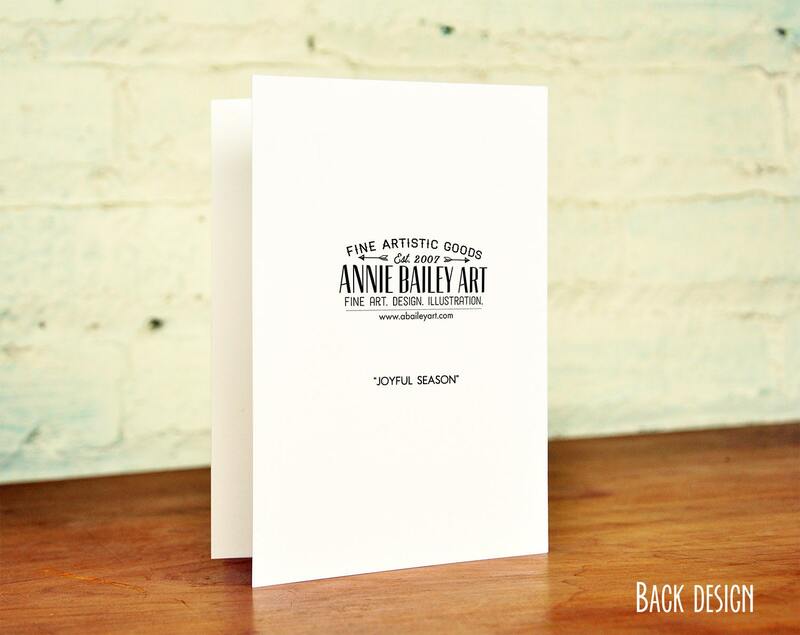 These matte finish cards are heavy-weight and lovely, with the phrase, "Have a Joyful Holiday Season" written in the blue sky. 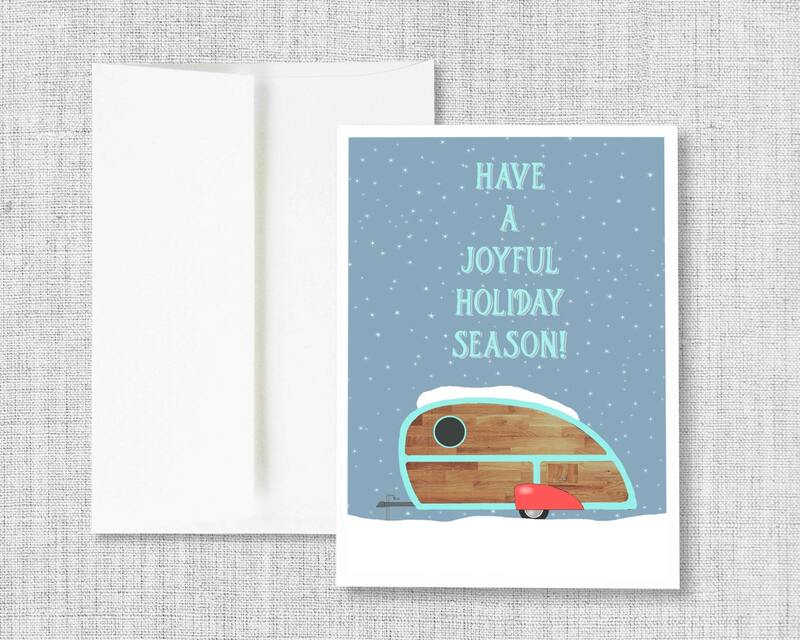 🌲This card measures 5x7 inches and is blank inside. 🌲 Each card comes with a white matching envelope. 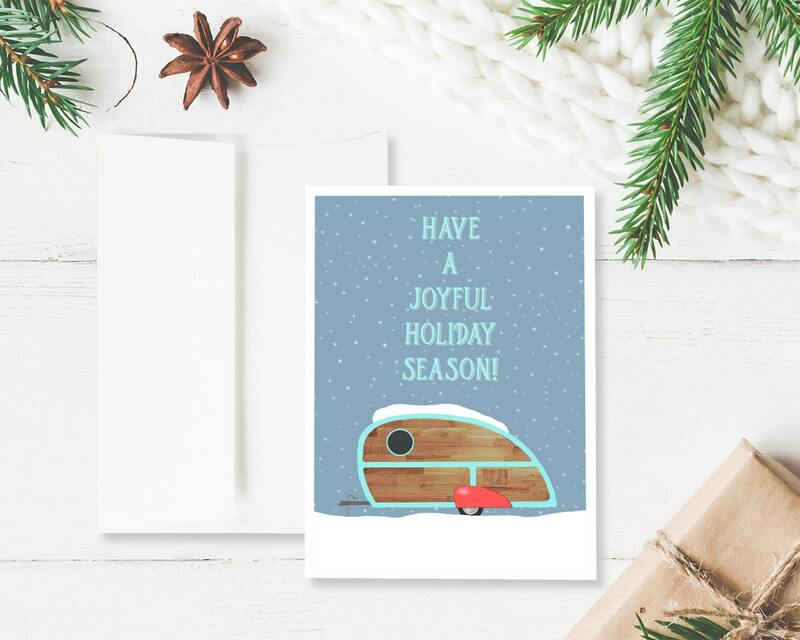 🌲 The title of the design is printed on the back of the card. If you need more than a set of 12, please contact me. Thanks!